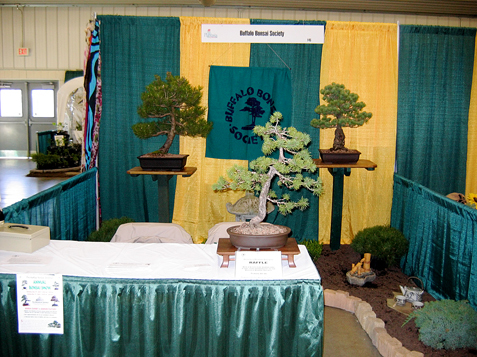 The Bonsai in the foreground of our booth was raffled on Sunday. The winner was Tim Lehr of Springville, NY. 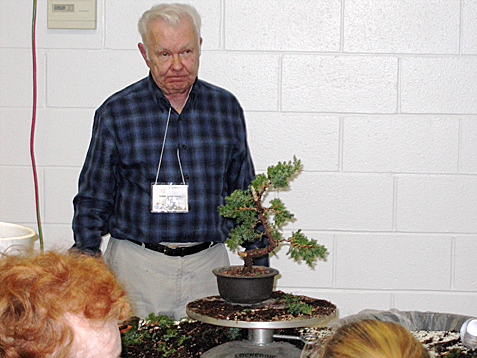 During the four days of Plantasia, our members answered questions regarding bonsai that were posed by the attendees. Hopefully we sparked some new interest in the wonderful art of bonsai and maybe enroll some new members in the near future. 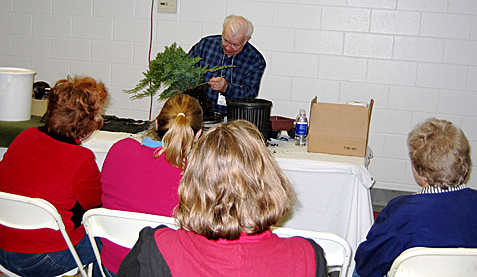 On Saturday afternoon we conducted a bonsai demonstration in the main conference room. Basic bonsai principles and techniques were discussed. 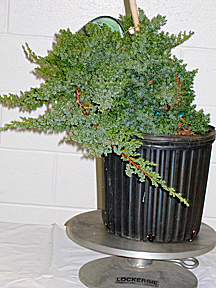 The demo tree that was used in the Saturday demo is shown below before any work was done on the garden juniper. Below Dan Zak is shown during his demonstration as he begins to transform the raw stock into a bonsai. Below Dan Zak discusses the finished bonsai and the work that has to be done over the years to make this "starter bonsai" into a mature bonsai.